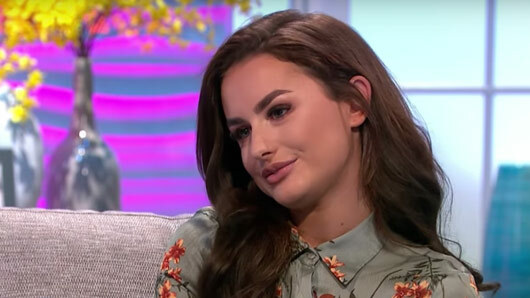 Love Island winner Amber Davies has confessed she turned to drink after her split from Kem Cetinay. The pair of reality stars announced their split in December after meeting on the ITV2 series last summer, and now Amber has opened up about the break-up. Appearing on today’s Lorraine, Amber admitted to partying too much after the relationship ended. She said: “I definitely used alcohol as a coping mechanism for the heartbreak. However, Amber hasn’t completely ruled out a reunion further down the line. “I’m not ruling anything out for the future,” she said. “We both need to concentrate on our careers. “We both – well I need to grow up a bit before I commit to anything too serious. Amber also revealed she had watched Kem’s first performance on Dancing on Ice last Sunday and was backing him to do well. Lorraine airs weekdays at 8:30am on ITV.